Instrument* This field is required Teacher Trainer for which instrument? 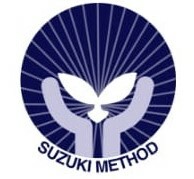 Membership* This field is required Which regional Suzuki association are you a member of? Thank you for registering for the International Suzuki Teacher Trainers Convention 2019. An invoice will be sent to you with payment due in 7 days. Once payment is received, a receipt will be sent which is confirmation of your booking. Please keep this safe as you will need this to register at the Convention.